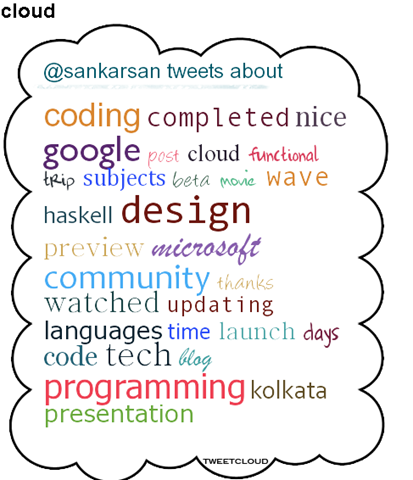 Today I generated my tweet cloud over my tweets of past one year using http://tweetcloud.icodeforlove.com. This can be accessed at http://tweetcloud.icodeforlove.com/sankarsan. Nice concept.It gives you a cool snapshot about what you have tweeted in a time span.